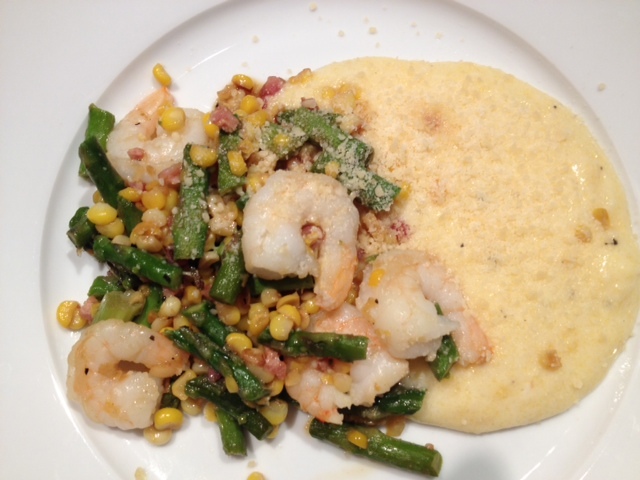 This dish is my take on shrimp and grits. 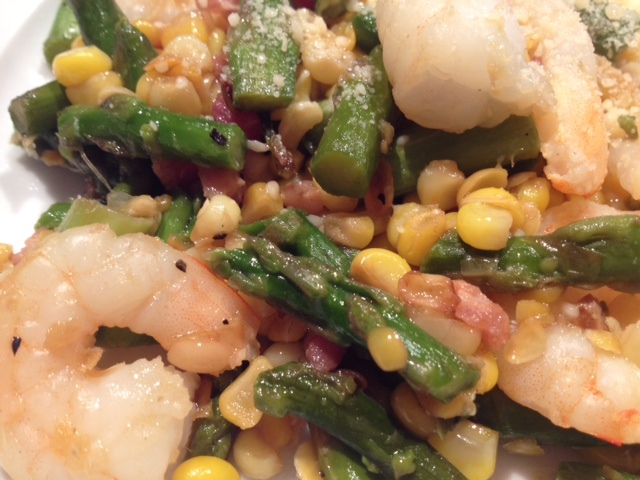 I spruced up the shrimp with crunchy asparagus, fresh sweet corn and crispy pancetta. 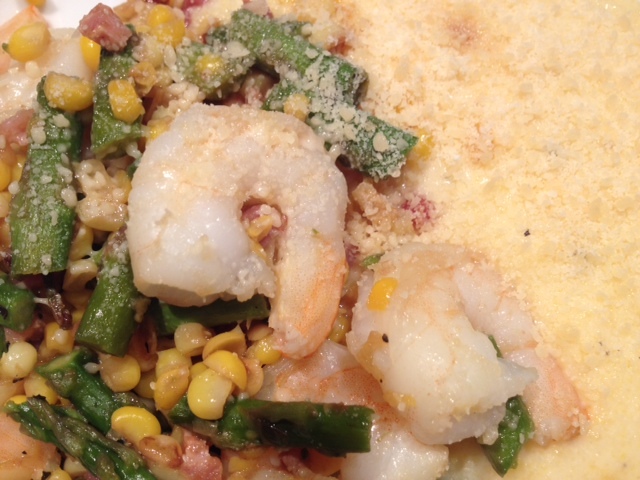 The polenta is creamy and delightful and it pairs perfectly with the shrimp and veggies. This dish is warm and comforting, but also surprisingly light. 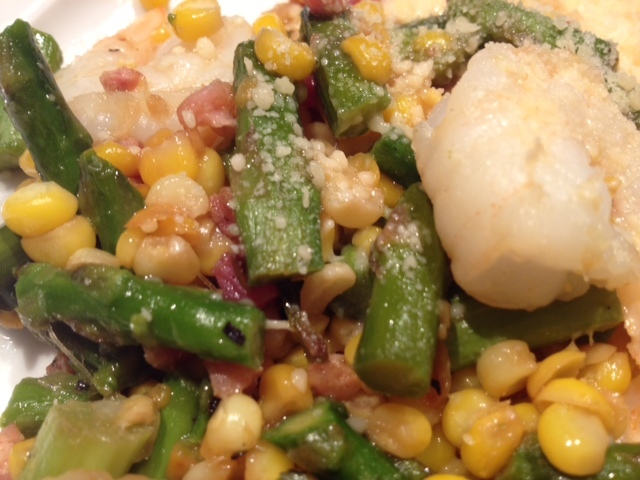 This dish is definitely a crowd pleaser! Boil 6 cups of water in a large pot. When the water is boiling, reduce the heat and slowly add in the cornmeal while stirring. 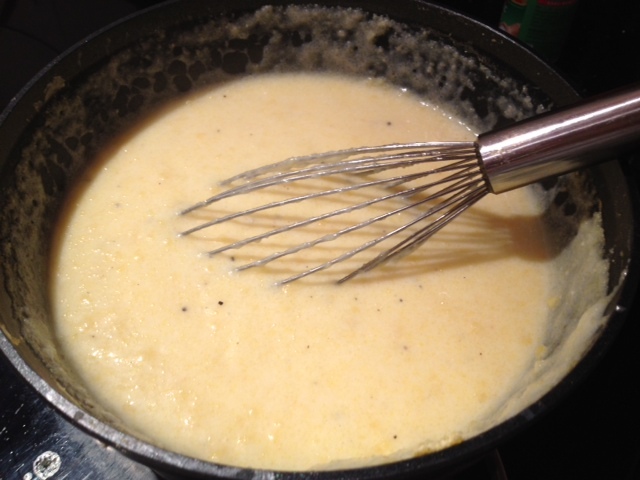 Whisk thoroughly for several minutes to remove any lumps while the polenta thickens. Cook for about 15 minutes and when the polenta has thickened, add the parmesan cheese, mozzarella cheese and sour cream. Season with a generous dash of garlic salt and black pepper. Cook the pancetta in separate non-stick pan (no oil needed.) Cook until the pancetta lightly browns. 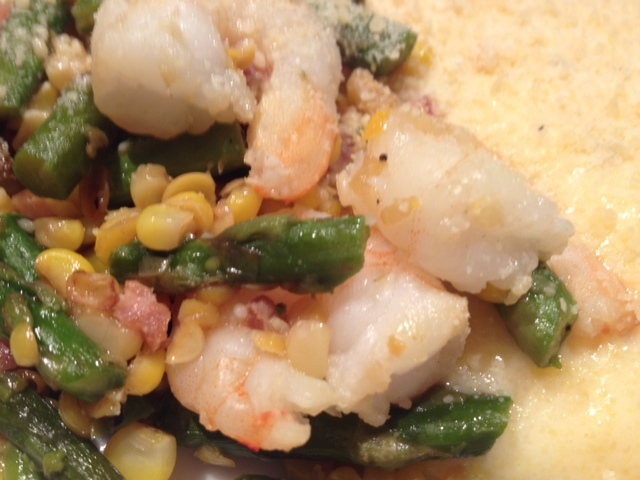 Heat 2 tbsp of olive oil on medium heat and add in the asparagus and corn. 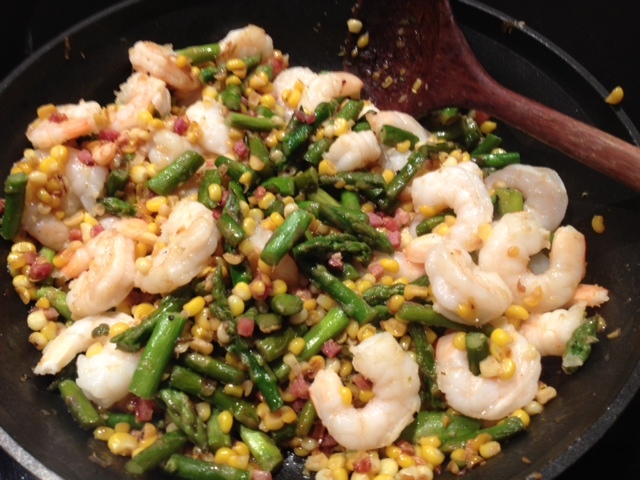 Cook for about 10 minutes and then add in the shrimp and the cooked pancetta. Season with a dash of garlic salt and black pepper. YUM! I’m going to share this with the chef of the house.